Are you looking for a simple, flexible approach to getting dinner on the table? Are you looking for a plan tailored to your own eating preferences, budget and schedule? If so, look no further! A simple, flexible approach to getting dinner on the table! In this workshop, you’ll learn how to create and implement a customized approach to getting dinner on the table. You’ll build your plan around your top menu planning goals such as eating healthier, simplifying meal prep, saving time and saving money. In the end, you’ll create a plan that works for you, taking the stress and frustration out of your dinner time recipe! How will you benefit from this class? Build a customized meal plan that takes into account your goals, cooking preferences and schedule. Create a flexible, adaptable meal plan that fits your lifestyle. (Planning doesn’t mean you have to eat a specific meal on a predetermined night. But instead, you’ll create a plan based on what works for you). Overcome your obstacles to planning dinner ahead of time. Learn a do-it-yourself approach to meal planning as well as alternatives for delegating the planning process (and even meal prep!). Successfully change your approach to planning menus (even if you have tried before and weren’t happy with the results). Save time by shopping less often and by avoiding peak shopping times (when the users of the wing-it-and-hope-for-the-best-and-if-the-worst-happens-stop-by-the-store-for-something-frozen system are racing through the aisles). Plus, fewer trips to the store means fewer impulse purchases, which can help you save money and stick to healthier eating habits. Spend less money and stay within your budget by planning meals around coupons and sales. Make it easier (and more possible) for other people to pitch in and help with meal prep. Not only will this save you time, but you’ll also have the opportunity to teach your kids cooking skills or simply enjoy the company of cooking alongside friends and loved ones. Avoid carryout and drive-thru dinners which means you’ll eat healthier and save money! Add more variety to your diet, prepare more nutritious meals and feel better! Plan your meals based on what’s fresh at the store, or what you find at the farmer’s market or get from your CSA. Waste less food because your grocery shopping will be more intentional and based on what you plan to eat. 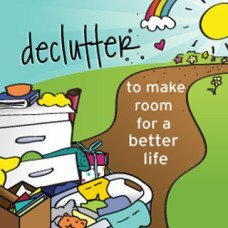 This is good for you, the planet and your wallet! Have more fun cooking when you plan around your cooking and eating preferences. Find it much easier and faster to make a grocery list and shop. You’ll pick the benefits that matter most to you and incorporate these into your customized plan. In the end, you’ll turn a potentially stressful time of day—dinner time—into one that is enjoyable and relaxing and allows you to focus on what’s most important to you. 61 pages / 2 lessons of easy-to-implement content. 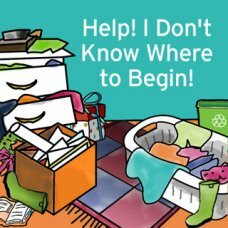 Includes worksheets, checklists, and planning forms. View a sample of lesson 1. Unlimited downloads. Download your eBook as many times as you like. Delivery method: Download immediately after purchase. Materials format: PDF. This document can be read and printed with the free Adobe Reader. 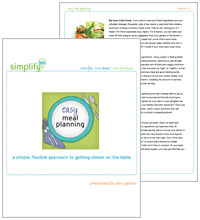 This product is a download that includes the handouts from simplify 101’s online workshop Easy Meal Planning. This purchase does not include access to any of the online workshop features such as the online community, access to the instructor, gallery, forum, etc. The text in this document may make occasional reference to the online workshop forum and photo gallery. Since these features are not included with this product, please ignore the reference to them. Get clear about meal planning and what’s in it for you. When you become crystal clear about what’s most important to you when it comes to dinner time, you will create a plan that ensures you meet your most important objectives first. If you’ve tried menu planning in the past with limited success, the information in this section will help you identify your obstacles. Plus, you’ll get concrete solutions for navigating around them. Learn a step-by-step process and use it to create your first meal plan. You can follow this simple process over and over again to create new plans each week, or use it once to create a meal plan you use over and over again (until you decide it’s time to change it up!). Figure out how to fit meal planning into your schedule and get a handy checklist of items to have on hand when you plan, making the whole process a breeze. Step-up your approach to meal planning so you meet more of your personal dinner time goals. Develop a repertoire of recipes that fit your objectives such as eating more fresh foods, saving time, eating healthier and saving money. 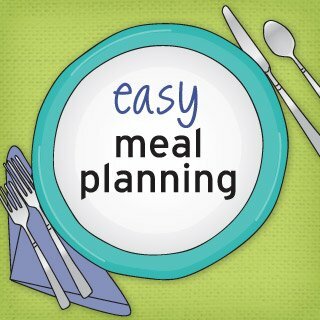 Learn strategies and techniques to simplify the meal planning process, saving you even more time. Find out how to make meal prep even easier so you’ll spend less time in the kitchen and more time enjoying your meals and family. Learn fresh ways to manage and organize your recipes so planning is even easier. 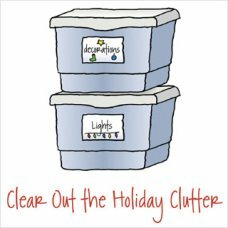 Simplify shopping list management so you spend less time making lists and shopping.